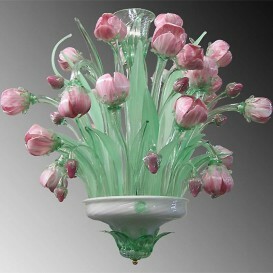 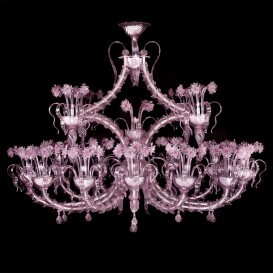 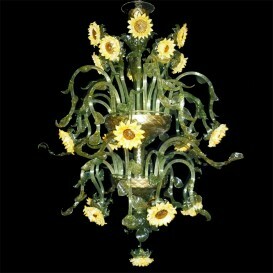 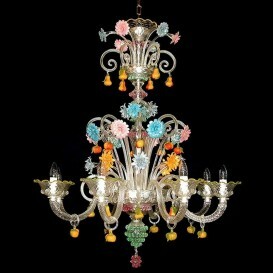 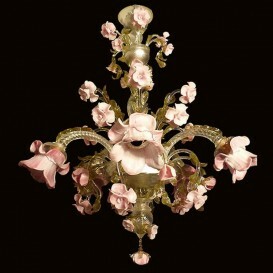 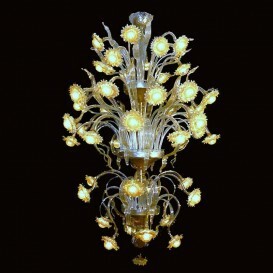 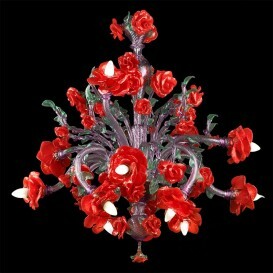 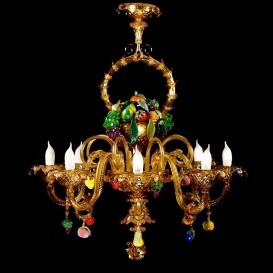 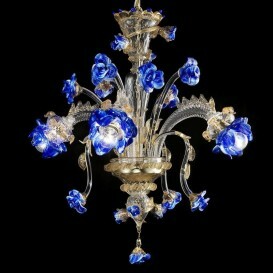 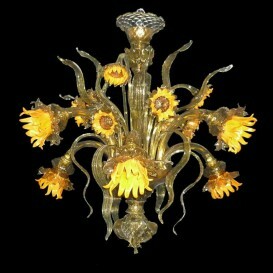 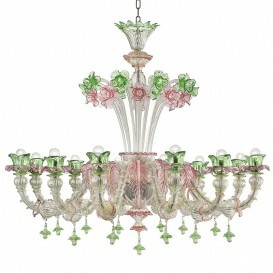 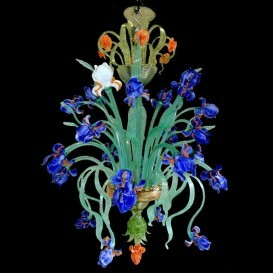 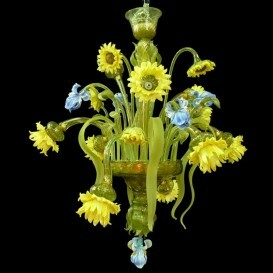 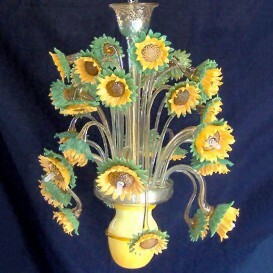 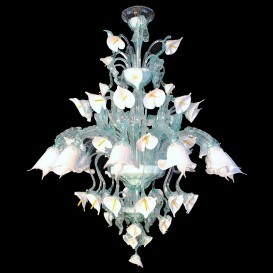 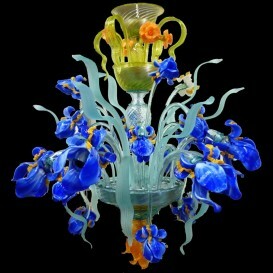 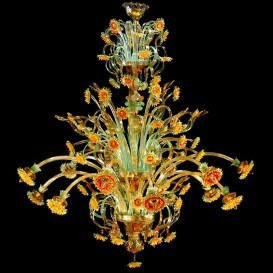 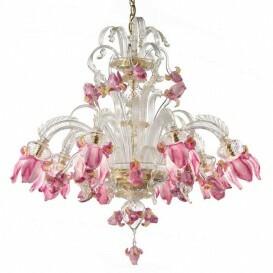 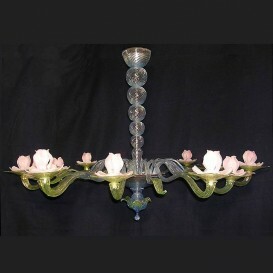 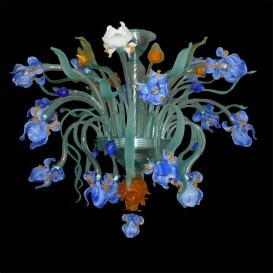 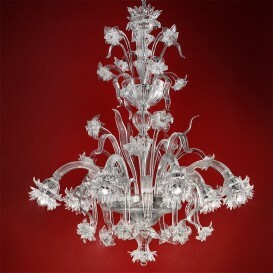 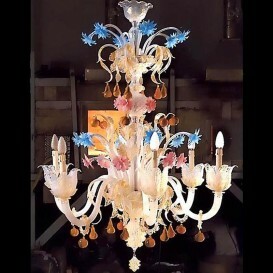 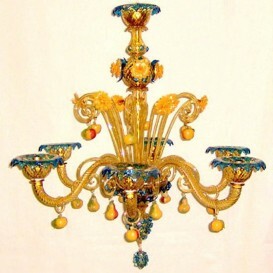 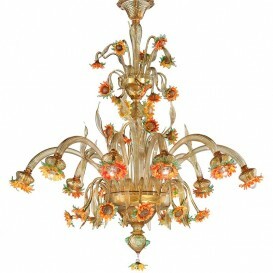 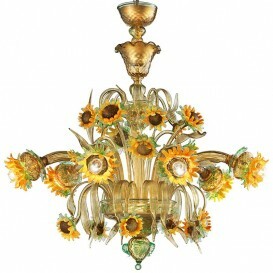 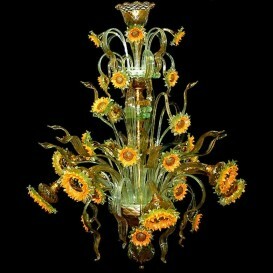 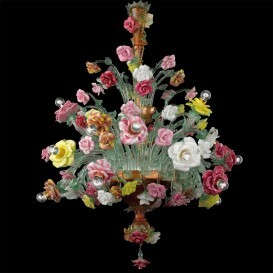 Many flowers to adorn your home in this fancy Venetian chandelier. 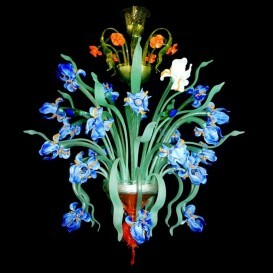 The best feature of all is the distribution of flowers on several levels. 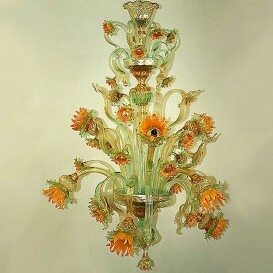 This elegant Venetian glass chandelier is probably one of the most hard to make artwork due to its many flower shapes and the amount of petals to put together. 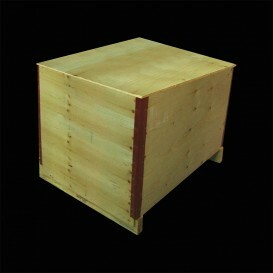 Also it implies an incredibly high accuracy and a trained eye for detail. 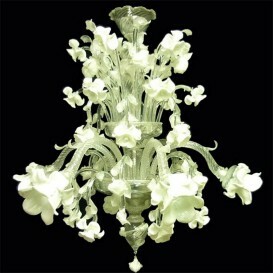 With so many different flower dimension the moulding meant a good amount of hard work. 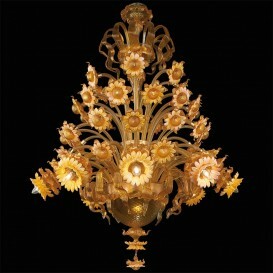 The result was really worthwhile.